This short article introduces the full paper by Prof. Ahmad Dallal, which is appended here as a full article in the 15 page PDF file. Figure 1: Modern printing of the Qur'an in Maghribi calligraphy. Al-Musshaf al-Hassani, printed in Morocco, 1417 H, p. 3. (Source). Whether one takes the standpoint of a believer or a textual critic, the Qur'ān, the foundational text of Islam, does not tell us anything unless we read it. The meaning of the Qur'ān, therefore, is inevitably intertwined with the understanding of its readers. Readings of the Qur'ān have not seized since the beginning of Islam, and over time, generations have read the text and commented on it in different ways, and thus produced what can be termed evolving cultural understandings of the text. Rather than doing what has become fashionable, look at the Qur'ān and quote some of its verses and then jump to make assertions about the Islamic or Qur'ānic stand on science, I will instead look at tafāsīr, commentaries on the Qur'ān, and try to discern from them how the relationship between the Qur'ān and science was understood in the cultures that produced these commentaries. What I will be looking at therefore is not an edified Islam that stands outside history, but the dynamic interaction between the text and the real historical communities that embodied Islamic culture. Of course, the relationship between science and Islam is reflected in a variety of genres and activities. In this essay, however, I will focus on the way this relationship has been understood in just one genre, tafsīr; both because of the normative weight of this genre and because these commentaries provide credible registers of the cultural trends of their time. 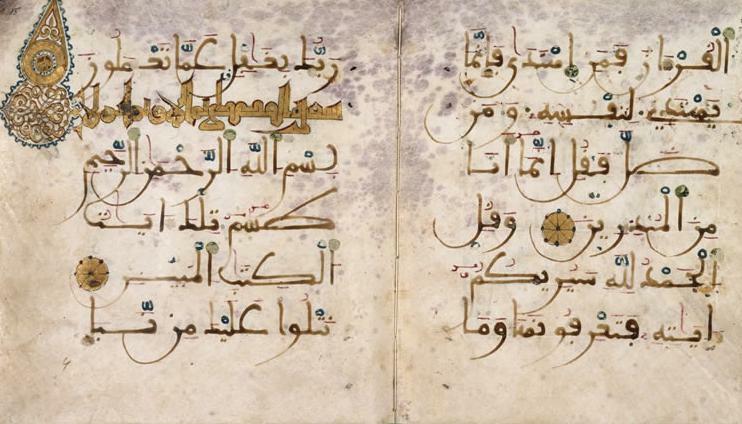 Figure 2: Andalusian copy of the Qur'an, from Granada, 13th century, preserved at the British Library, MS Or 12523C, ff. 14v–15 (displayed in the exhibition Sacred: Discover what we share, London, the British Library, 27 April-23 September 2007: Link). (Source). 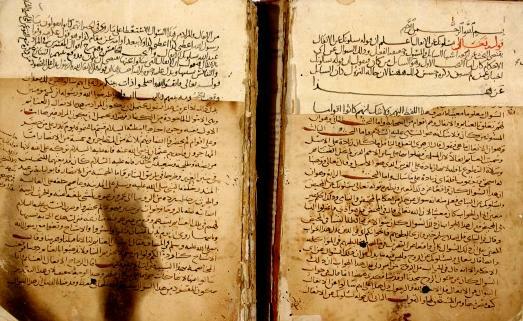 Already in the past, the Muslim scholar Abū Rayhān al-Bīrūnī, in his India, while comparing the cultural imperatives of Muslim and Indian sciences, asserted that the Qur'ān does not interfere in the business of science nor does it infringe on its realm. In contrast, to this cautious and balanced view, contemporary Islamic discourse on the Qur'ān and science abounds with assertions of the relationship between the two. This presumed relationship is construed in a variety of ways, the most common of which are the efforts to prove the divine nature of the Qur'ān through modern science. These efforts cover a wide range of activities including the establishment of institutions, holding conferences, writing books and articles, and the use of the internet to promote the idea of the scientific miracles of the Qur'ān. For example, a recent website search listed a little less than two million occurrences on Islam and science, most of which assert that the Qur'ān's prediction of many of the theories and truths of modern science is evidence of its miraculous nature and its Divine origins. Such contentions are not just part of folk belief, but are also reflected in the work and writings of many contemporary Muslim intellectuals. As a manifestation of the popularity of this idea, the Muslim World League at Mecca formed in the 1980s the Committee on the Scientific Miracles of the Qur'ān and Sunna (traditions of the Prophet). The Committee has since convened numerous international conferences and sponsored various intellectual activities, all aimed at exploring and corroborating the connections between science and the Qur'ān. A recent meeting of this Committee in Cairo, reported in the mass media, urged Muslims to employ the "scientific truths which were confirmed in the verses of the Qur'ān and which, only recently, modern science has been able to discover" as a corrective to the current misunderstanding of Islam. The scientific miracles of the Qur'ān are the only weapon with which contemporary Muslims can defend the Qur'ān, and the only convincing language in this age of science and materiality (Al-Sharq al-Awsat, 9/23/2003). Figure 3: Beginning of Tafsir al-Qur'an by Abdullah al-Razi, vol. 7, in an Abbasid manuscript (MS 297.207, R27, v.7), a commentary on the Qur'an copied in 569 H / 1174 CE, in the library of the American University of Beirut (Source). The Qur'ānic attitude towards science, in fact, the very relationship between the two, is not readily identifiable, and the discordance between the classical and modern Islamic views on this subject is substantial. To be sure, almost all sources, classical and modern, agree that the Qur'ān condones, even encourages the acquisition of science and scientific knowledge, and urges humans to reflect on the natural phenomena as signs of God's creation. Most sources also argue that doing science is an act of religious merit and, to some, even a collective duty of the Muslim community. Yet, as actual debates of the Qur'ān and science show, the points of contention are far more significant than this one general convergence. More than any other place, these debates can be traced in interpretations of the Qur'ān, and in several other writings in which specific uses of the Qur'ān are promoted, or where a Qur'ānic framework and philosophy of science is adduced. Therefore, the starting point for the study of the Qur'ān and science is not the Qur'ān itself since, as we will see, there are considerable differences in the interpretation of the verses that may have a connection to science or the natural phenomena. For this reason, it is not useful to try to ascertain a particular Qur'ānic position on science. Rather, it is more productive to look at the way in which the relationship between science and the Qur'ān has been viewed by various Muslim thinkers, albeit of varying degrees of authority. The main source in which Qur'ānic paradigms of science are articulated is the genre of Qur'ānic exegesis (tafsīr, plural tafāsīr). Much as they insist on grounding themselves in the immutable text of the Qur'ān, exegetical works are repositories of larger cultural debates and reflect the prevailing views at their time and place. Rather than identifying one fixed Qur'ānic paradigm of science, the task then becomes one of tracing the evolution of the Islamic discourse on the Qur'ān and science, and adducing some of the factors that shaped this evolutionary process.